Chris Murray, Toronto’s new City Manager, is a former planner who thinks of the future in terms of decades, not years. In his address, Toronto’s Future: Who’s Paying?, he discussed the “elephant in the room” when it comes to municipal government: what kind of city are we leaving behind for future generations? He considered how intergenerational equity should shape our future, made the point that complex problems cannot be solved by single institutions, and explored why coordinated action is required to move forward. On June 27, 2018, Chris Murray was appointed by City Council as the City Manager for the City of Toronto. Prior to joining the City of Toronto, Chris was the City Manager at the City of Hamilton, where he was responsible for overseeing 7,800 City workers, delivering citizen-centred services to residents and businesses and moving the City’s priorities forward. 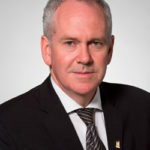 During his tenure, Murray’s city-building initiatives included development of Hamilton’s Waterfront, LRT, Tim Hortons Field, GO service expansion, and the negotiation of the development of a downtown McMaster Medical Campus. Additionally, he established a results-based accountability framework, a citizen engagement charter, and a healthy neighbourhood program. Chris was previously the City of Hamilton’s Director of Housing. He is the current Chair of the Municipal Benchmarking Network Canada. Selena Zhang is Manager of Strategic Initiatives at United Way Greater Toronto. She was previously Manager of Programs and Research at the Institute on Municipal Finance and Governance and Acting Co-Lead of the National Urban Project at Maytree. Before working on cities, she provided support to Ontario’s migrant farmworkers as Community Coordinator for Frontier College’s Labourer-Teacher Program, worked for the Cape Town local government, and ran an international health and youth empowerment charity. Selena was one of 25 rising leaders in the GTHA named a CivicAction DiverseCity Fellow in 2017. 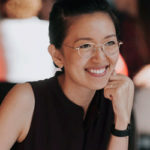 She holds a Master of Public Policy from the University of Toronto and Bachelor of Arts in Global Development Studies from Queen’s University.